A doctors’ surgery in Brighton will offer more appointments when a new contract takes effect in three weeks’ time. 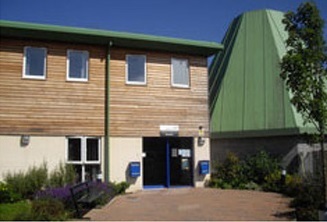 Six GPs (general practitioners) will work at the Wellsbourne Health Centre, in Whitehawk Road, seeing patients from 8am to 6.30pm Monday to Friday. The fresh start at Easter comes after a challenging couple of years. 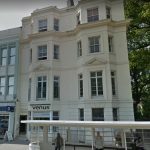 The surgery’s future was thrown into doubt in January 2016 when the old owner, the Practice Group, said that it was pulling out of its five surgeries in Brighton. Doctors at a nearby surgery, Ardingly Court, in Kemp Town, stepped in to keep the surgery open in the autumn of 2016, operating it as a branch surgery. But from Sunday 1 April the Wellsbourne Health Centre and Ardingly Court will revert to being two separate practices. The doctors at Ardingly Court – Samantha Barker and Eleonora Turlini – are preparing for another change. Their surgery is moving from Ardingly Street across the Old Steine to new premises in Palace Place, by the Royal Pavilion, in September. The contract to run the Whitehawk practice – which shares its premises with the Broadway surgery – has been awarded to the Wellsbourne Healthcare Community Interest Company (CIC). It will have six GPs – Veronica Sutcliffe, Helen Dirmikis, Posy Greany, Zoe Ballantyne, Christa Beesley and Johannes McGavin. Doctors Sutcliffe, Ballantyne and Beesley are also directors of the CIC. As well as more appointments, the surgery is offering extended appointments and home visits, providing a more proactive form of care and reducing avoidable dependence on the local hospital. 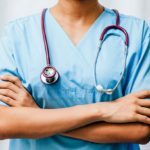 Brighton and Hove Clinical Commissioning Group (CCG) said: “The new service will offer an improved primary medical provision, delivered by a multi-disciplinary team, including GPs, advanced nurse practitioner, practice nurse, healthcare assistant, pharmacist and health engagement worker. The CCG said that it would provide extra funding for the surgery to improve health in the community. And it would be supporting the practice to provide a range of extended services, including community health engagement workers. Sussex Community NHS Foundation Trust (SCFT), the local provider of NHS community health and care services, will support the CIC to deliver the new contract. 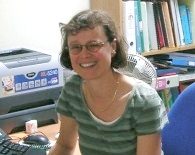 The CCG said: “Residents in the Whitehawk area face additional health challenges compared to the wider population, including higher rates of heart disease, COPD (chronic obstructive pulmonary disease – or lung disease) and cancer, more emergency hospital admissions and more adults and children living in poverty and more smokers than the national averages. Dr Sutcliffe said: “We are delighted to announce that the Wellsbourne Healthcare CIC have been awarded the contract to provide general practice services from Wellsbourne Health Centre. “Wellsbourne Healthcare CIC is a clinically led organisation with many decades of experience working in the Brighton area. SCFT chief executive Siobhan Melia said: “I am delighted that we have been given the opportunity to work in partnership with this exciting new community interest company and that the CCG has backed our vision for the future of this vital GP service. 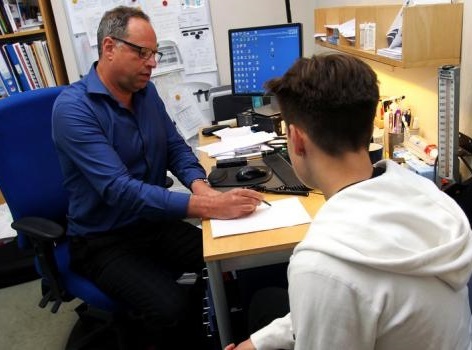 “By working closely with the experienced clinical leadership team at the Wellsbourne GP Surgery we are committed to ensuring that local people in Whitehawk and surrounding areas experience and have access to vital GP services. The CCG added: “The new contract comes about after Ardingly Court practice partners decided last autumn to divide their practice, to set up two separate practices, serving two different populations. 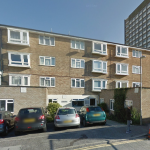 “Brighton and Hove CCG has acted to help split the single contractual arrangements into two and procure a new provider to serve Whitehawk, helping to ensure the community maintains access to GP services. “Patients who are currently registered with the existing two site practice will be given a choice of which of the two sites they wish to be seen at, which will become effective from (Sunday 1 April) 2018. “A CIC is a special type of limited company which exists to benefit the community. “Wellsbourne Healthcare CIC, a new community interest company, has been set up for the benefit of the local community and will become effective from (Sunday) 1 April 2018. This is an excellent surgery with dedicated and caring staff. Credit to Wellsbourne for making this happen.